I love visiting the family-owned shoe store in the town where I grew up and getting some one-on-one guidance on sizing and styles. But I also love shopping online! Ecommerce personalization is about bringing the personal touch of a family-run shop into the modern online shopping experience. Personalized product recommendations are a proven way to boost sales and put some more green on your company books. 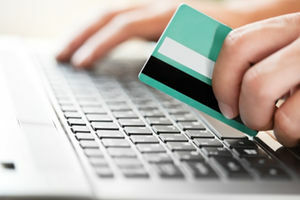 Customers value ecommerce shops with a personal touch. Here are four ways – from beginner to advanced – to personalize in ecommerce. Grouping customers by location (using physical mailing addresses or IP addresses), gender, or even marital status is quite simple. In this way, you can greatly improve customer response with relevant ads and promotions. Sending an email about bra sales to the ladies and not the men isn’t complicated, but can go far in improving customer engagement. Cross-category connections are all about putting things that go together, well, together. For example, showing socks alongside shoes (and hopefully not with sandals), or offering pens with notebooks is logical and also helpful for your customers. Quick links to products that go together can inspire additional sales and make for a slicker, more streamlined ecommerce experience that users appreciate. Recency: How recently did the customer make a purchase? Frequency: How often does the customer make a purchase? Monetary Value: How much does the customer typically spend on one purchase? Based on this type of analysis you can determine when to send promotions and what promotions to send to particular customers in order to optimize conversion rates – and make your customers happy! It’s always exciting to find a deal on a new pair of raw denim jeans right when your old ones are about ready to retire. Customers will notice the personalization and timeliness of your offers. Automated personalization using collaborative filtering is the most advanced form of ecommerce personalization. Collaborative filtering means that your entire webshop can be curated in a unique way for each individual customer. By making inferences across huge datasets, collaborative filtering discovers trends and marketing possibilities that would have otherwise been hidden within a pile of figures. Collaborative filtering can reveal things like: “people who viewed this item also viewed,” “items on sale based on browsing history,” or “items in stock now that are similar to this item” (for out-of-stock items). Personalized product recommendations like these can drive sales and engage customers with relevant, valuable product suggestions. They can highlight great products that might not appear on the first page of search results or when casually browsing through best-sellers. While collaborative filtering can be costly and complicated to implement in-house, there are many companies, like Softcube, that offer simple integration of personalized recommendation services to shops of any size. Webshops can drive revenue, while creating a valuable experience for their customers, with ecommerce personalization. From the simplest adjustments to the most advanced levels, any webshop can realize the benefits of going personal.